You are here: Home / Voice Over Blog / Voiceovers / Voice Over Showreel, how do you make it great? 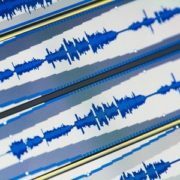 What makes the perfect voice over showreel? Every voice over wants to know the answer to this question. Every voice over probably has their own idea of an answer! For me, I think this deserves the same answer as the question ‘how long is a piece of string?’ Below is my latest voice over showreel, check it out, tell me what you think…would you hire me from hearing it? If you’d like to hire me after hearing that, phew, it worked 😉 contact me and lets talk….if you’re here to find out how to make a great voice over showreel, read on. Voice over showreels are subjective. You could put together what you think is your best voice over work in the world, a mixture of everything you’ve done that you’re really, super proud of. Then a client/producer will listen to it, maybe just the first 10 seconds of your minute long masterpiece of a showreel, and think to themselves ‘yeah, its alright’ before moving onto the next showreel. What was wrong with my voice over showreel? But hang on, you slaved away over that voice over showreel for ages, it was brilliant, it deserved an award for being so good, why didn’t the producer like it? Don’t take it personally, you just weren’t what they were after, today! Next week the same producer, working on a different project, could listen to your voice over reel, more than 10 seconds this time, and think it really is brilliant, you are the voice they want and boom, you’re hired. Happy voice over. How do I make a great voice over showreel then? This is the million dollar question. For me, there is no strict answer here, one shoe doesn’t fit all. There are some generic guidelines for making good showreels, I’ll run through those shortly. My answer would be to have showreels for different types of work, showcasing how brilliant you are in each of them. From a commercial showreel for radio, tv and cinema commercial voice overs, to a corporate voice over showreel showing of different styles for corporate video work onto a documentary showreel, narration, on-hold/IVR reel etc etc. Thats a lot of showreels! You’re right, it is, but you’re a pro, you can do these and super serve the client, giving them exactly what they want. If you pop into a shop and ask for eggs and the guy gives you ham, you’re not going to be to pleased and will be unlikely to shop there again. Same for voice overs, if a client/producer is casting for an commercial and you send them a generic showreel with lots of different work on it, they’re unlikely to listen to it all, and if you’re lucky just the first 10-15 seconds (thats the reality, these people are busy and have lots to do). If you haven’t caught them in that short time space, you’ve lost the job. By sending a specific commercial showreel, and letting the producer know thats what it is, they’ll take a little more note and interest in what you’ve done, unlike every other voice over who’s just send a generic voice reel with a standard introduction. But how do you know what the client wants? There are a number of ways to get voice over work, one of them is for websites that let you ‘pay to play’, subscription based voice over sites where you pay a monthly or yearly fee for the pleasure of being listed on there. Clients then post jobs on the site, there is then a made scramble by the voice overs to get a demo in before the job closes. Voices.com and Voice123.com are two of the better ones, there are many, many out there. Lots of them will just take your money and you’ll get nothing, I always advise doing a little research before parting with your hard earned cash. One voice over site approached me, asking if Id like to join. The site had brilliant reviews, claiming that within hours ‘big agencies had been in touch offering work’. After doing a little digging I found that the people who gave those reviews were no longer members of the site, in fact all four people who’d left reviews were no longer members. Why? I tracked one of them down and asked. He told me that ‘yes, the big agency did get in touch’….he got one job, after that, nothing. When using these sites, you really have to be on the ball and either, have a home studio set-up and ready to record samples or have different demo’s ready, depending on the clients request – be it a commercial, corporate, on hold, e-learning, narration etc etc job. And there we come full circle to having lots of different showreels ready. From my radio presenting days, a saying always sticks in my mind ‘always have a bed to lie on’, which basically meant always have a demo ready, you never know when you’re going to need it. Don’t go on forever – as I mentioned earlier, clients/producers are busy. You may have lots of brilliant audio you want to put into your showreel, but the reality is they’re only going to hear the first 10 – 15 seconds, maybe not even that. Put your best bits at the beginning and keep the entire demo no longer that a minute and a half, a minute or less would be perfect. By keeping it short, you’re also keep the size of the file small, perfect for emailing! Levels – get your audio levels matched. Make sure all the audio in your showreel is at the same level, theres nothing worse than having to turn up the volume to hear a soft piece only for the next segment to deafen you as its to loud. Its also very unprofessional and shows you don’t really know what you’re doing with the equipment. Don’t clump sample styles together, and keep them short – The idea of the showreel is to show of what you can do, so don’t stick all your chilled out, laid back stuff at the back, with all your upbeat stuff at the front. Mix it up and keep it short, don’t be afraid to chop things down to size, ten seconds of this, seven seconds of that. The person listening isn’t necessarily interested in what the topic is, they want to hear how you sound..and you need to get as much of that across as quickly as possible. In my experience, if you follow the three simples rules, you won’t go far wrong with your voice over showreel. If you’ve got any questions, just leave a comment below. https://neilwilliamsvoiceover.com/wp-content/uploads/2014/04/7530686_s.jpg 300 450 Neil https://neilwilliamsvoiceover.com/wp-content/uploads/2017/03/Logo.png Neil2014-04-07 15:14:522019-03-19 17:08:55Voice Over Showreel, how do you make it great? What would you suggest to a very small cheap studio set up to make a half decent show reel ? What equipment and cost do you think ? Good to hear from you and thanks for getting in touch. If you’re just starting out as a voice over, I’d actually suggest NOT buying any equipment! Buying cheap stuff to start with is a false economy – you’re not going to get a great sound or quality for your showreel, which in turn means you wont get the good jobs, which means you wont make the money…and that’s the end of your voiceover career. I would suggest spending the money on having a professional voiceover showreel made. Get into a quality studio with top of the range, professional microphones and processing, work with a decent producer/sound engineer and create a reel that will get you sounding at your best and get you noticed. With that reel, send it out to production companies, put it on websites etc. etc. and see what comes back. If the work starts coming in, you can then look at investing in a your own studio equipment. If you are really determined to buy some equipment – Id avoid all USB powered microphones and def get a decent pre-amp. Brill thx, do you know any people or companies that offer that service on the south coast so I can get some prices ?? Sorry, don’t know any on the south coast. But a search on google for voice over studios south coast, voice over show reel production south coast or something similar will most likely give you what you’re after. Some really useful and great tips there. Thanks very much for sharing! I’ve been reading a lot of helpful advice about how to get into commercials, narrative and quite serious voice work. But I’m trying to get some advice on how to reach the more animated world of voice acting, using other voices I’ve created. So a basically cartoons and everything in-between. Do you have any advice for what kind of showreel I can make for this kind of genre? Thanks very much in advance and apologises for being too vague! Thanks for getting in touch! Best thing to do is work out the voices you are really comfortable doing and can do consistently – its great to have a large selection of voices, but if someone hires you for a particular voice but you can’t replicate it the same way each time, they’re not going to be very happy. So, instead of trying to tick everyones box on animation voices, nail down the ones you can do brilliantly and create a showreel from those. As with other showreels, keep it short showing off each of the voices. If a producer hears a snippet of something they like, they’ll get in touch requesting more. Great bit of resding and great lively Showreel. Do you use Audacity or have you ever used it ? Allen & Heath ZED-16FX – 16 channel , what are your thoughts please ? I’ve never used Audacity, but here it is good. Depending on the project, I use either Pro Tools or Audition. With regards to the mixer, looks good. Are you using it for just voiceovers? Short and simple – that’s what the VO artist should aim for when making a Voice Over Showreel. Don’t go overboard and ensure that the flow of the audio is smooth. Pay attention to the transition. Excellent post, Neil! Thanks for sharing the tips. ipDTL Voiceover Need a voice over? Theres an Easy Way and Hard Way!